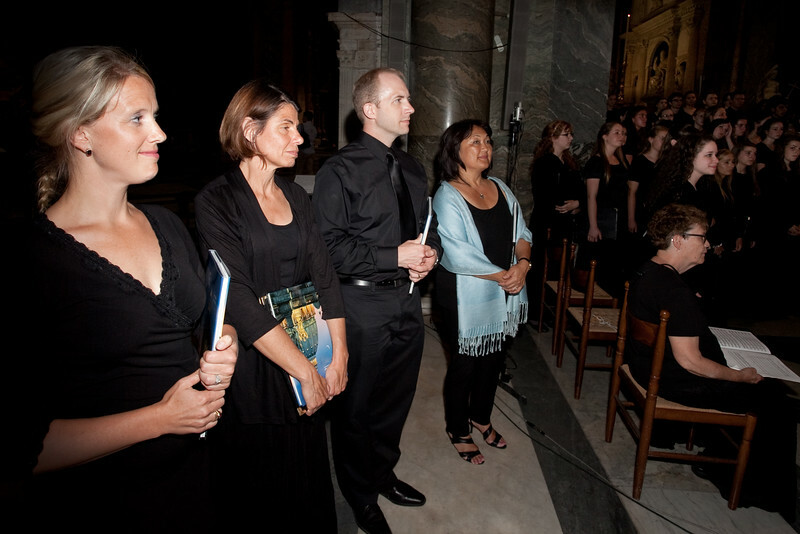 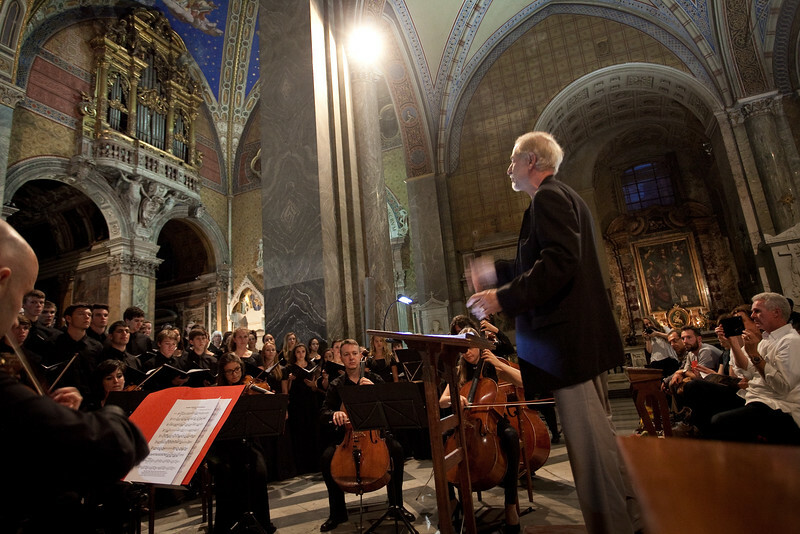 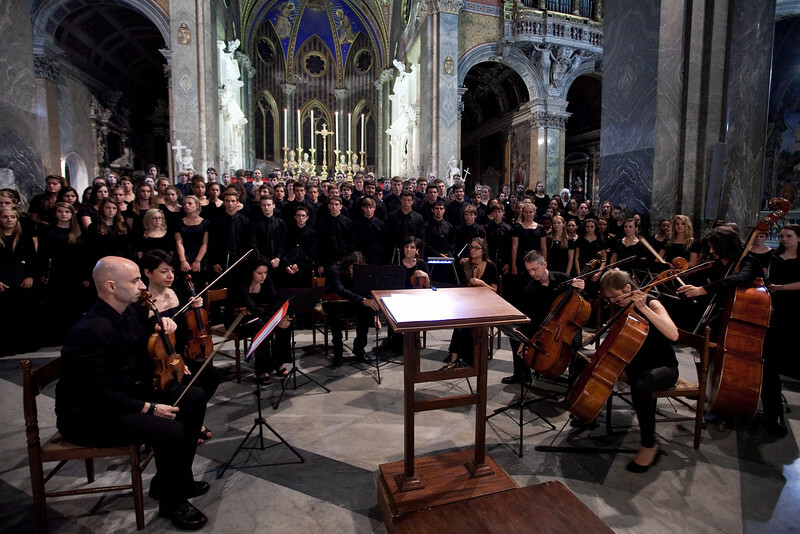 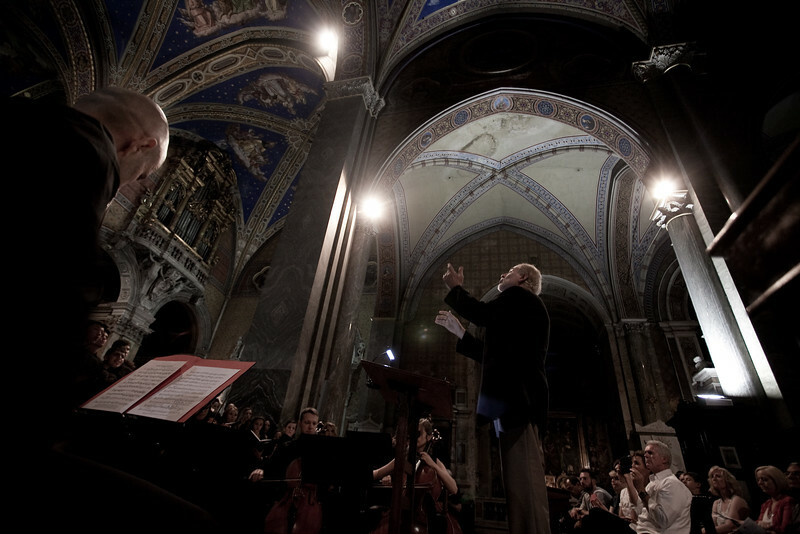 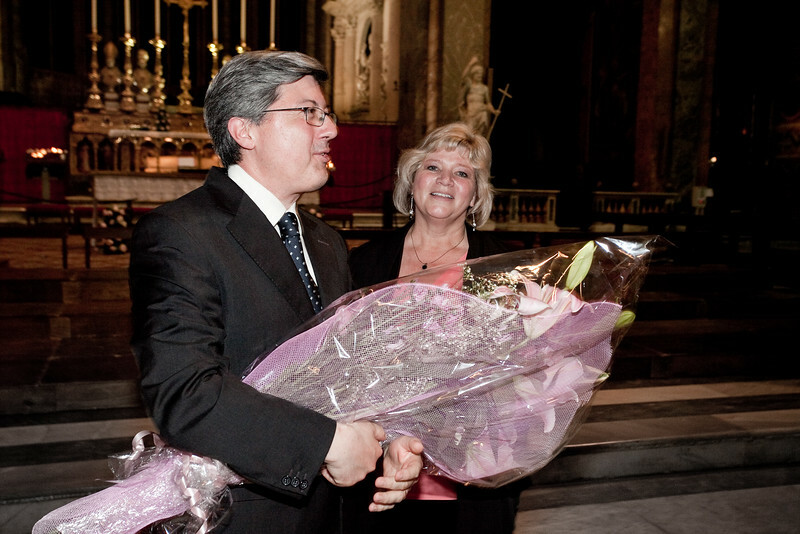 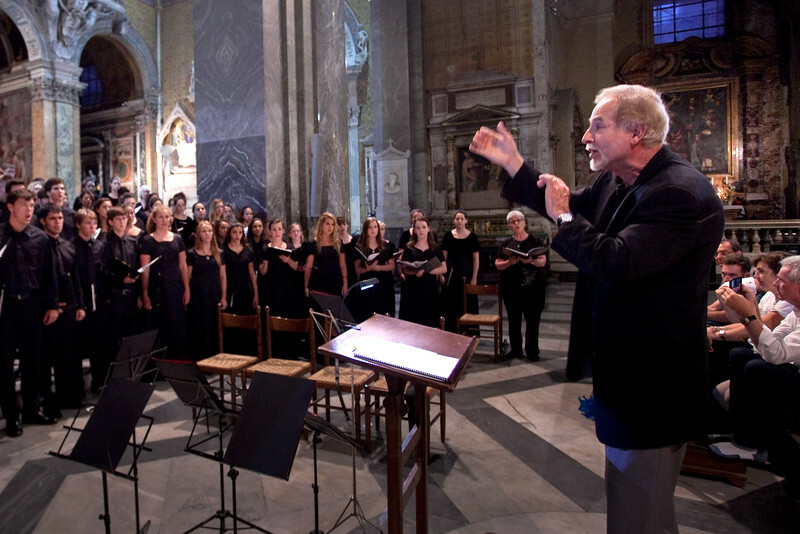 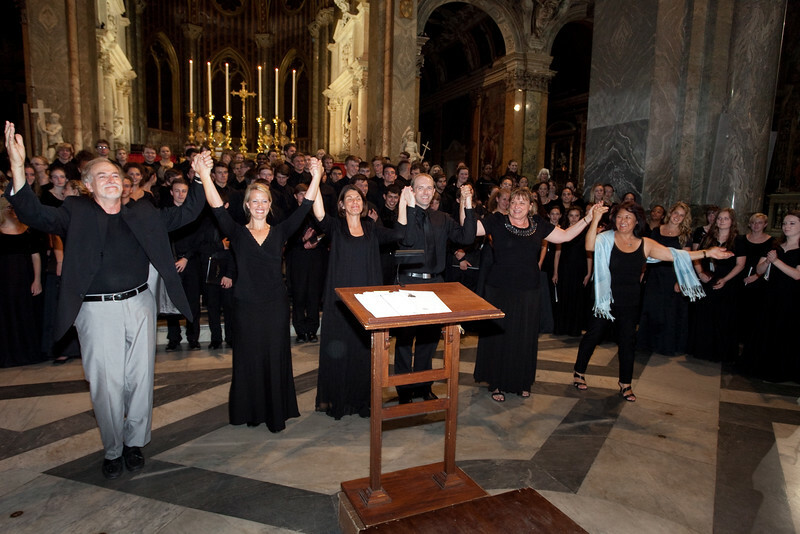 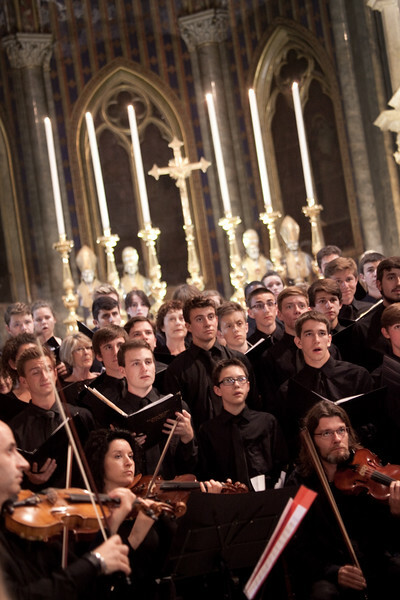 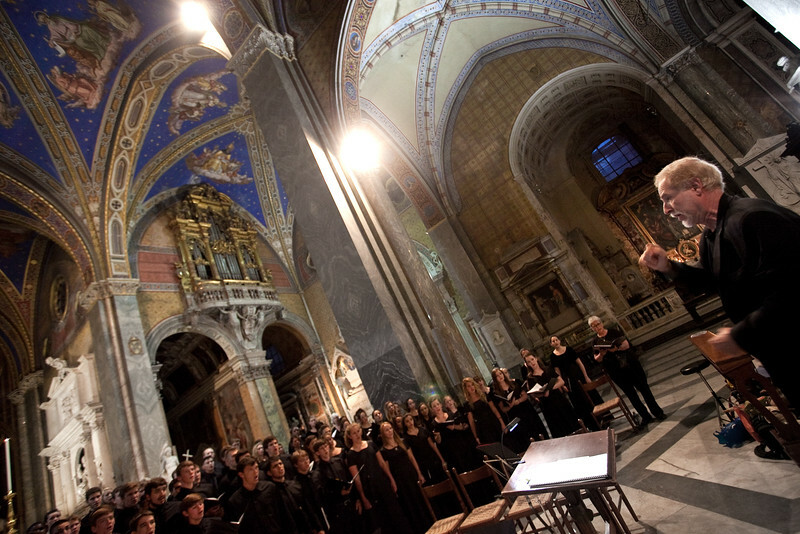 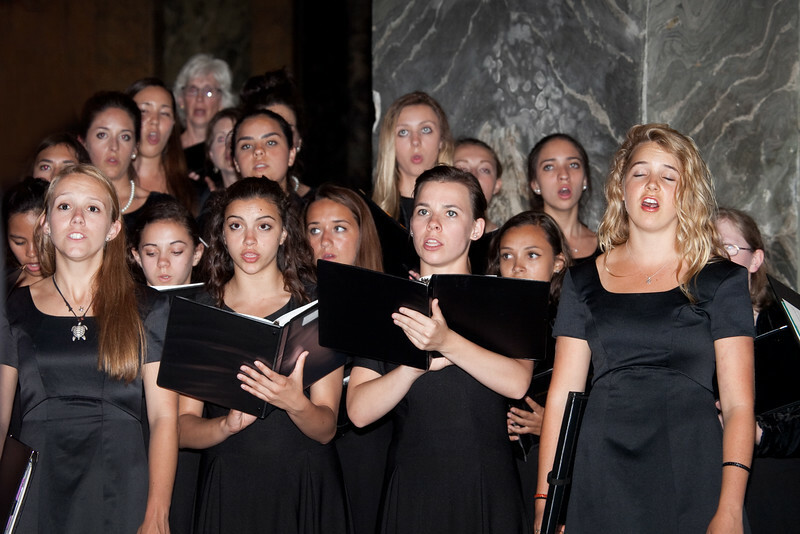 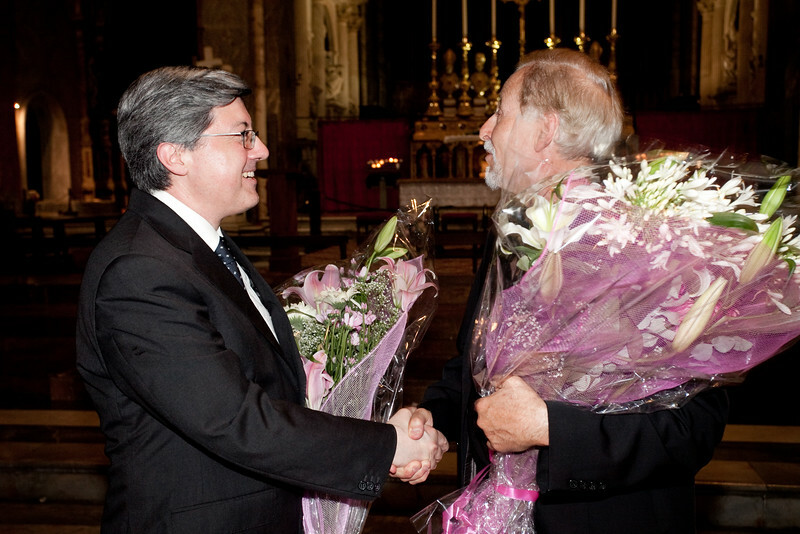 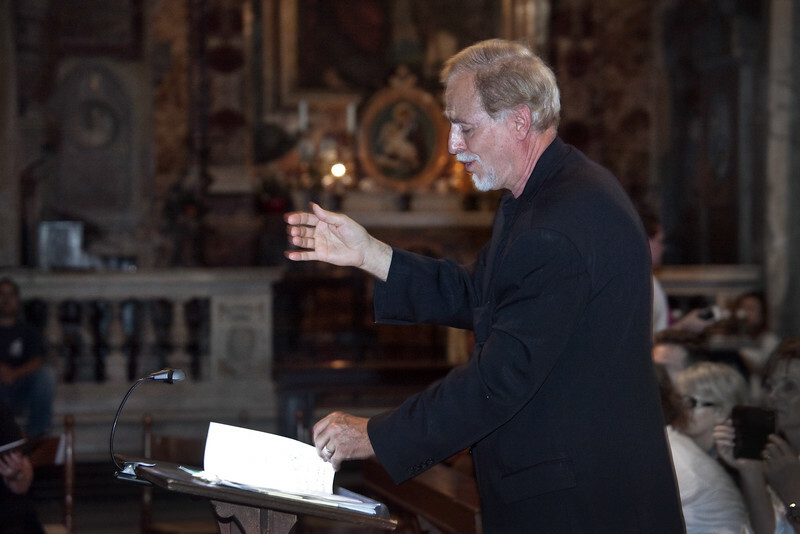 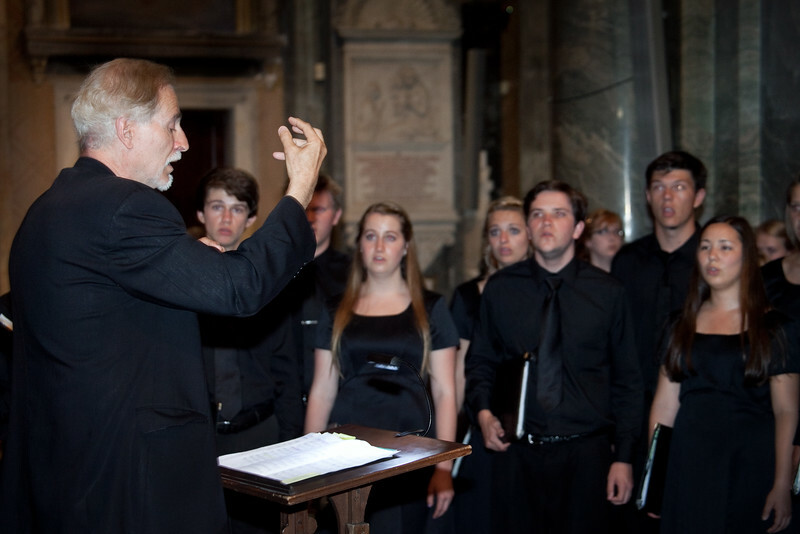 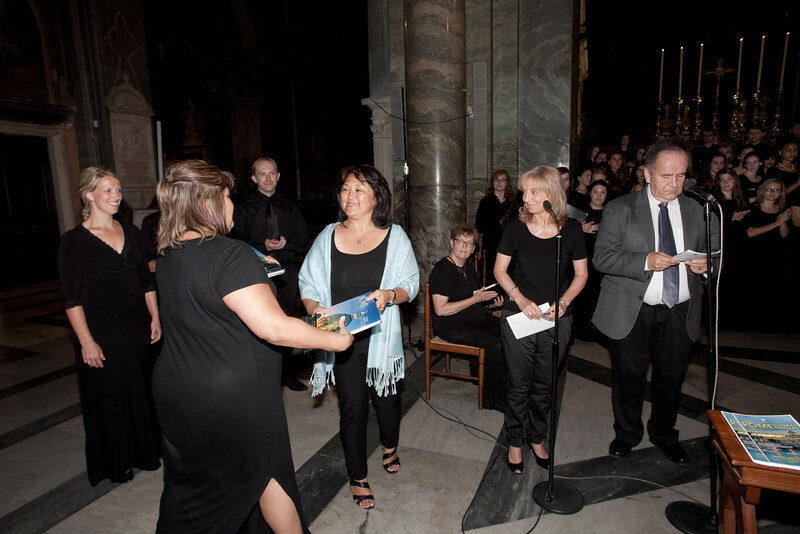 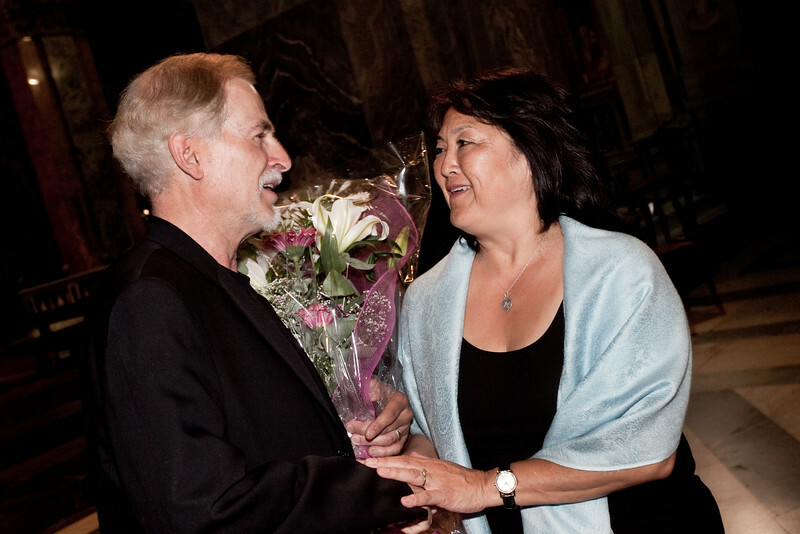 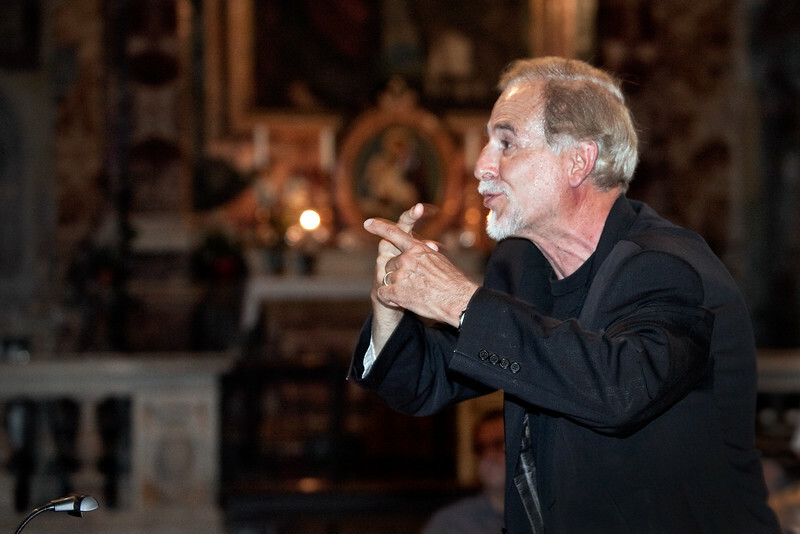 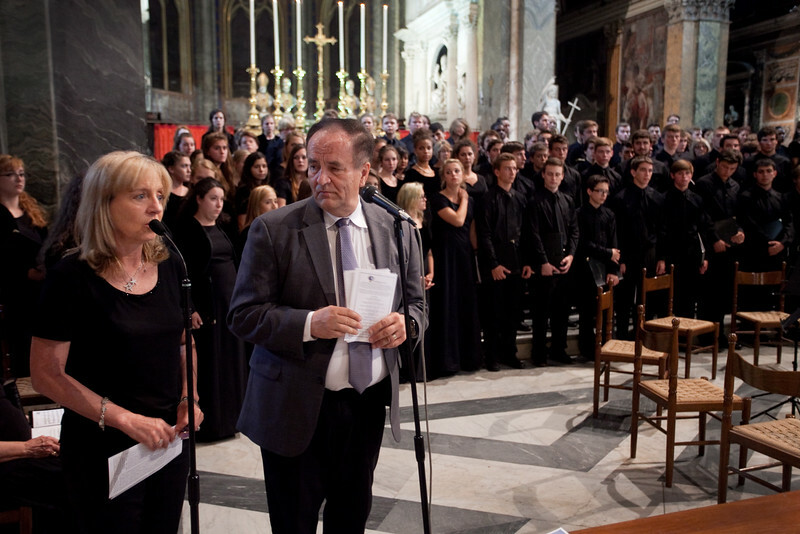 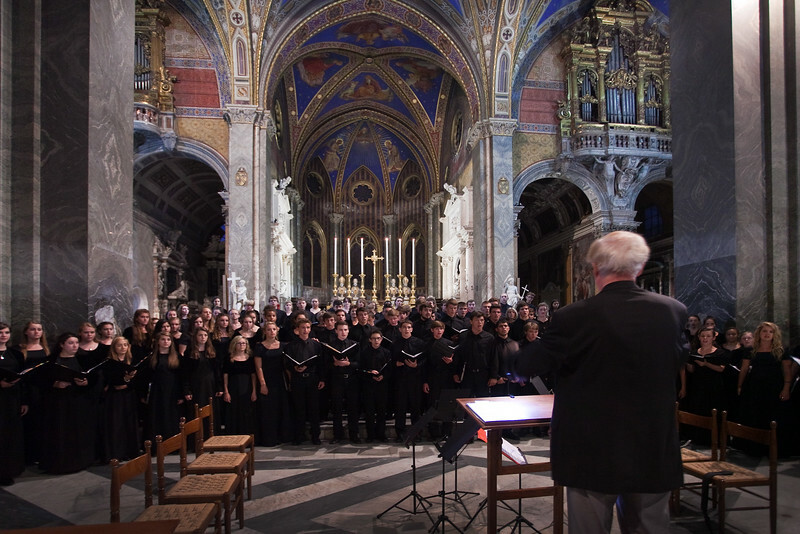 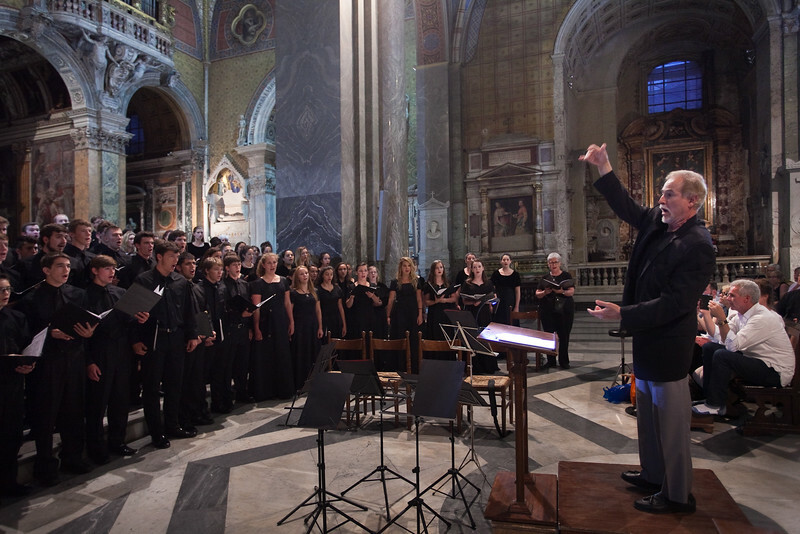 The 6th Annual Festival Corale Internazionale di Roma June 21 - 25 was “the best one ever” according to Dr. Z. Randall Stroope, Artistic Director. 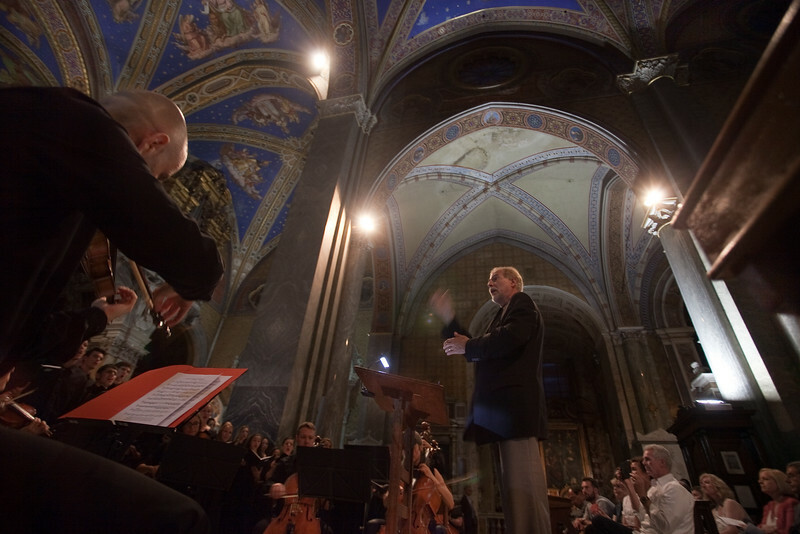 Dr. Stroope has conducted this festival now for five years. 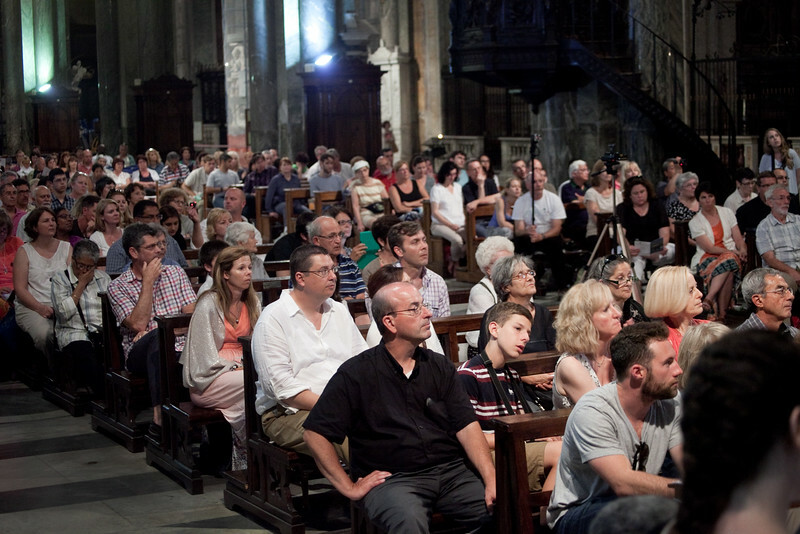 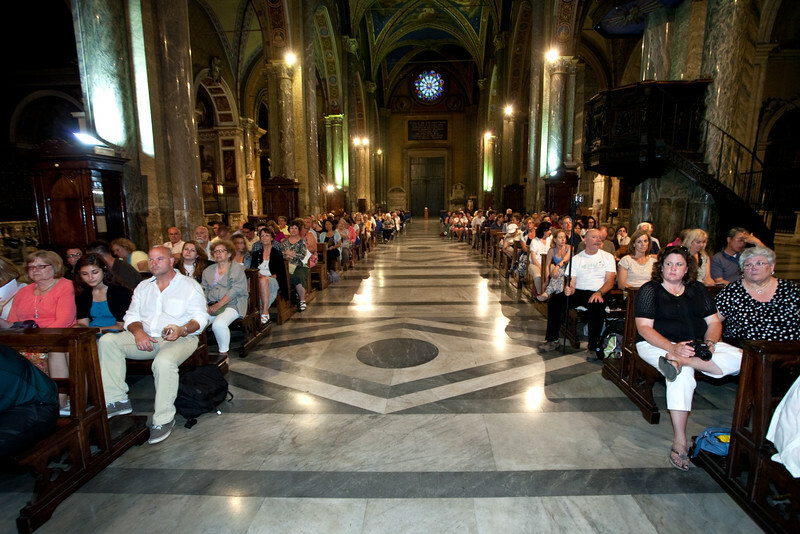 The performance in the Basilica of Santa Maria di Sopra Minerva was Tuesday, June 24th, the same day that Italy played Uruguay in the World Cup. 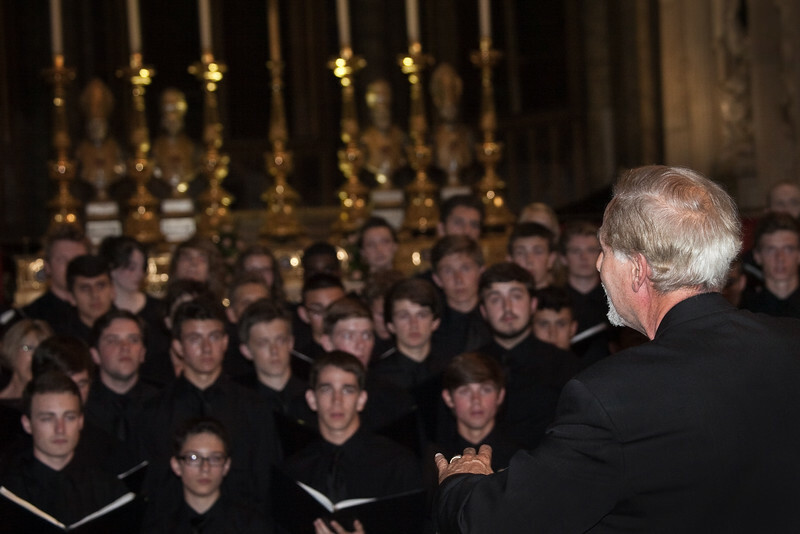 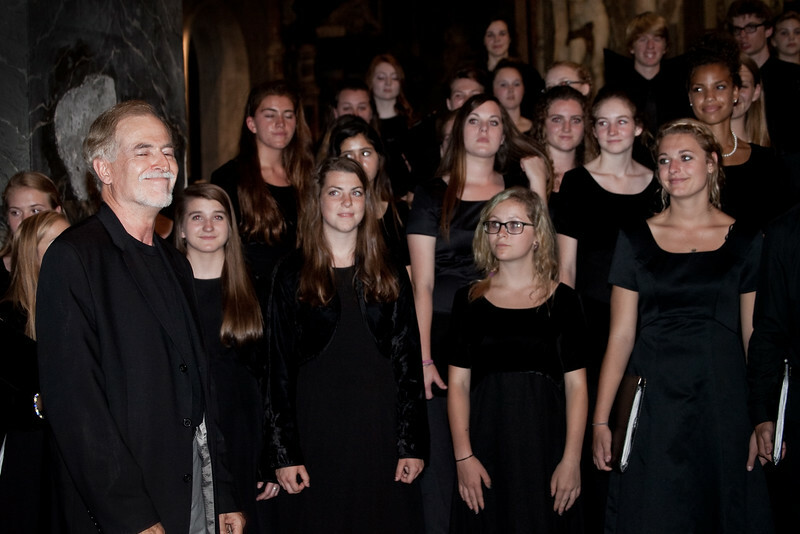 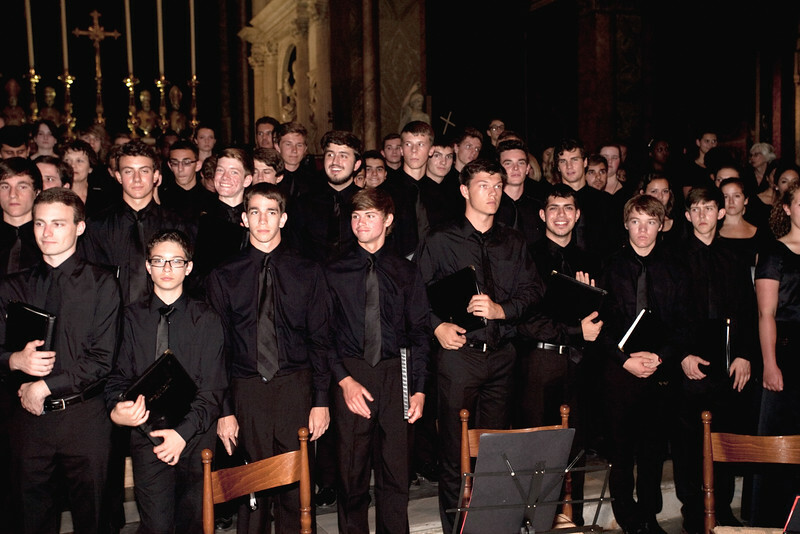 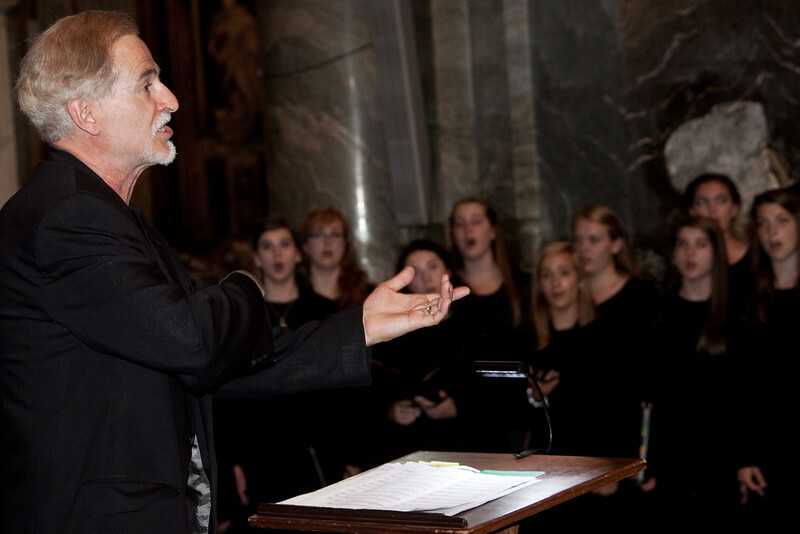 In spite of the competition from the soccer match, the choirs from Dearborn High School, San Marcos High School, Skutt Catholic High School and Bosque School Choir sang to a standing-room only audience. 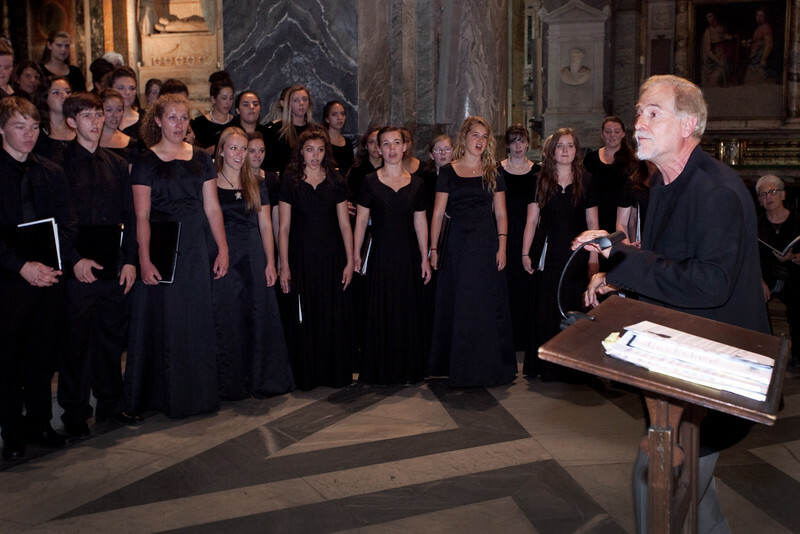 Earlier in the afternoon the Festival Choir sang for a High Mass for the Feast of St. John the Baptist in St. Peter’s Basilica in the Vatican. 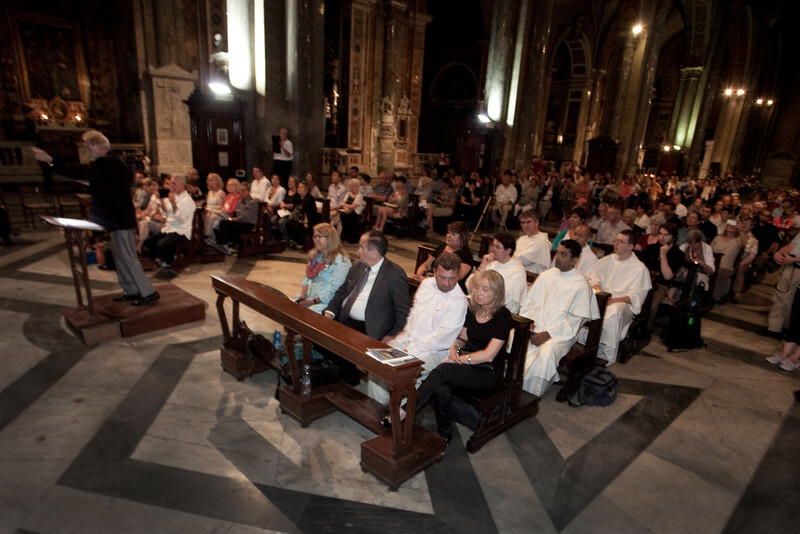 The Mass was attended by thousands of worshipers from all over the world. 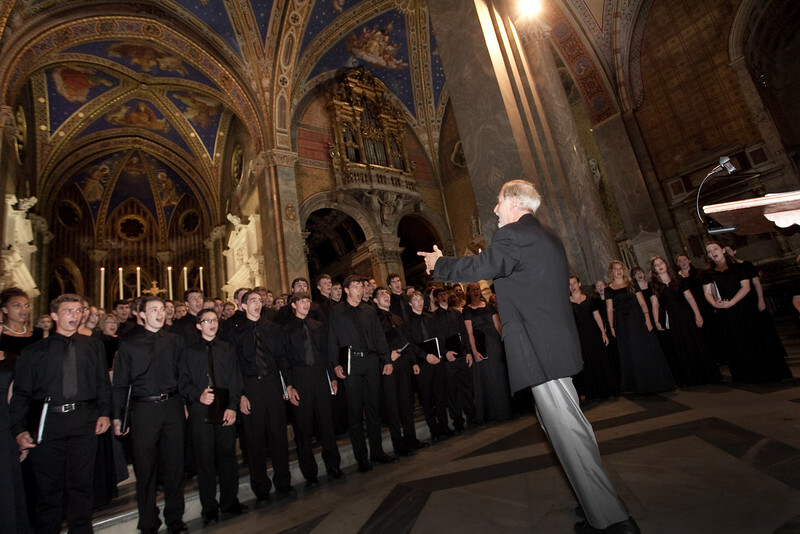 Dr. Stroope rehearsed with the four participating choirs starting on June 22nd — and had them performance-ready two days later. 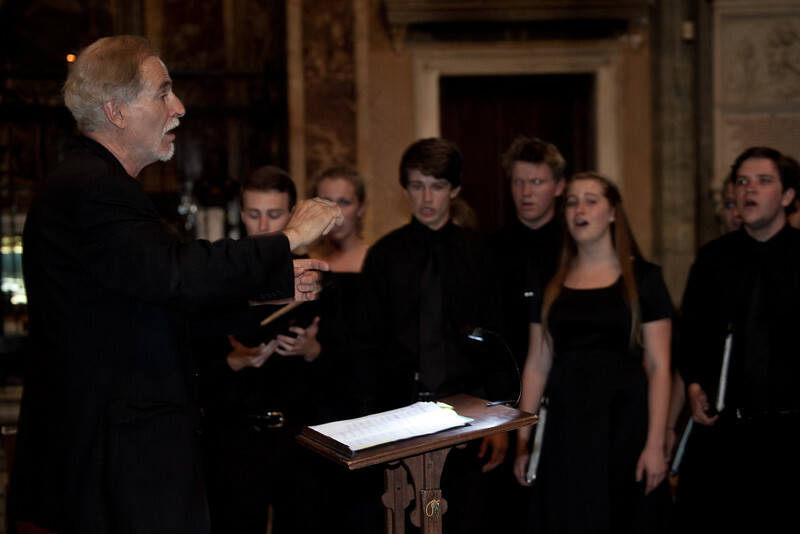 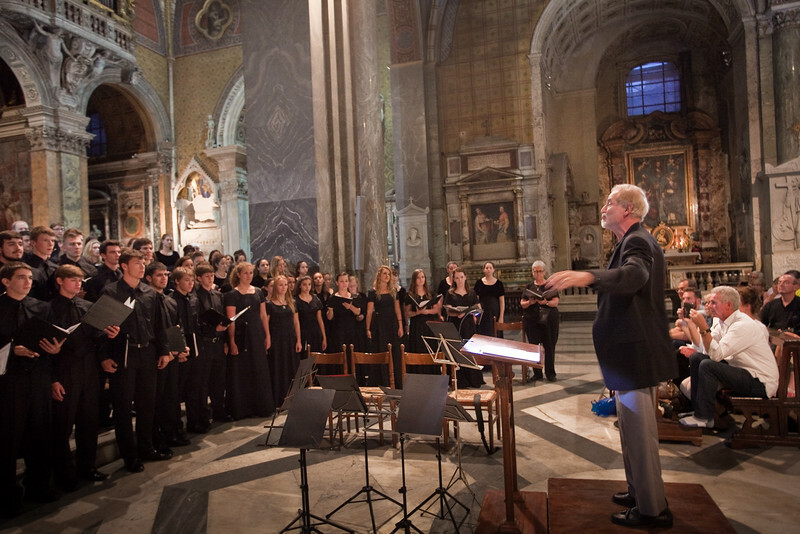 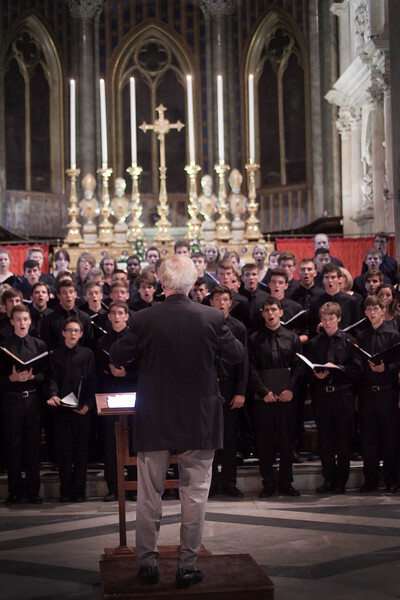 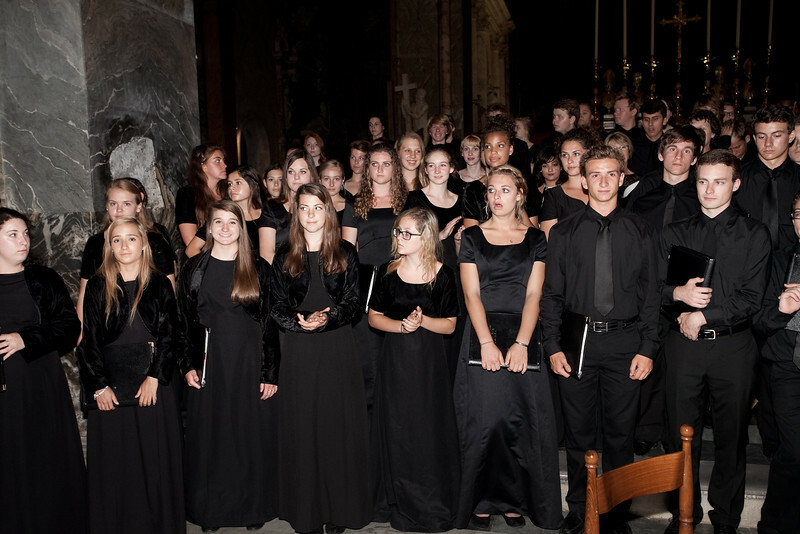 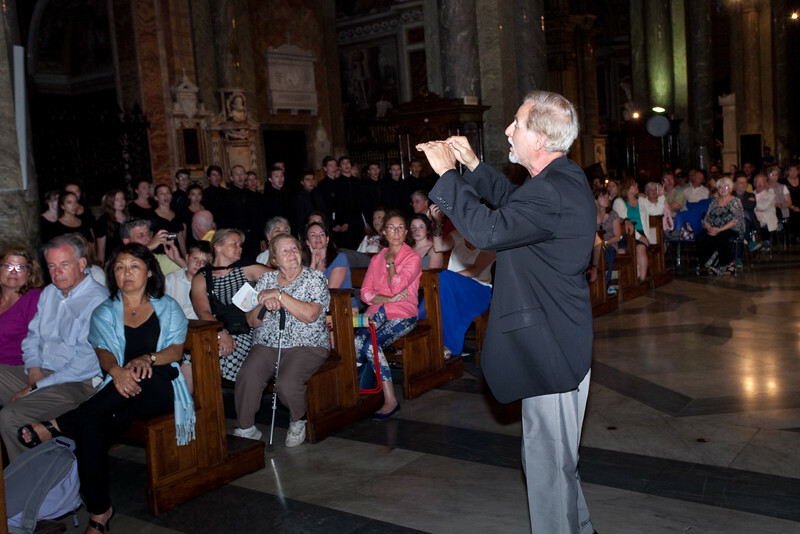 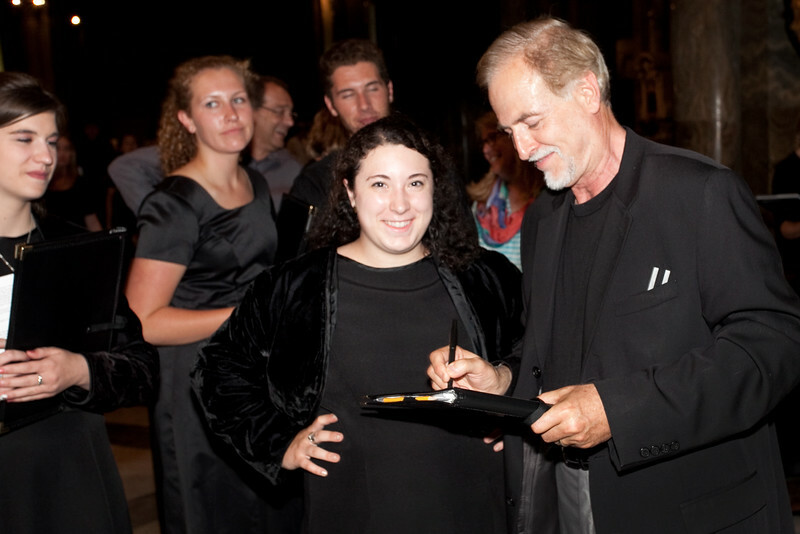 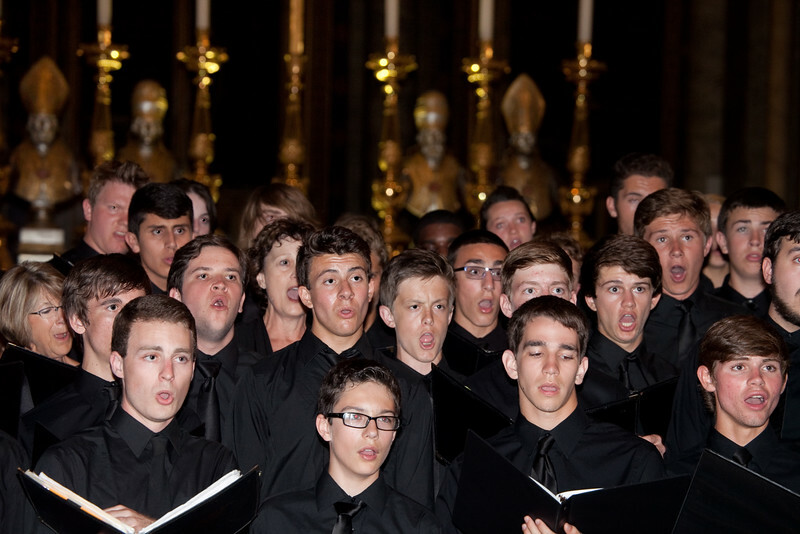 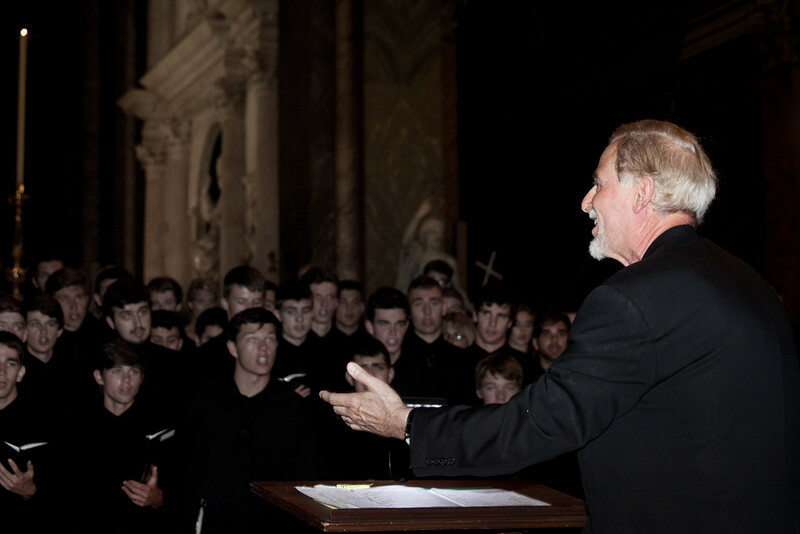 Choirs enjoyed sightseeing of the Eternal City between rehearsals, and then toured (including individual concerts) other parts of Italy following the festival performances. 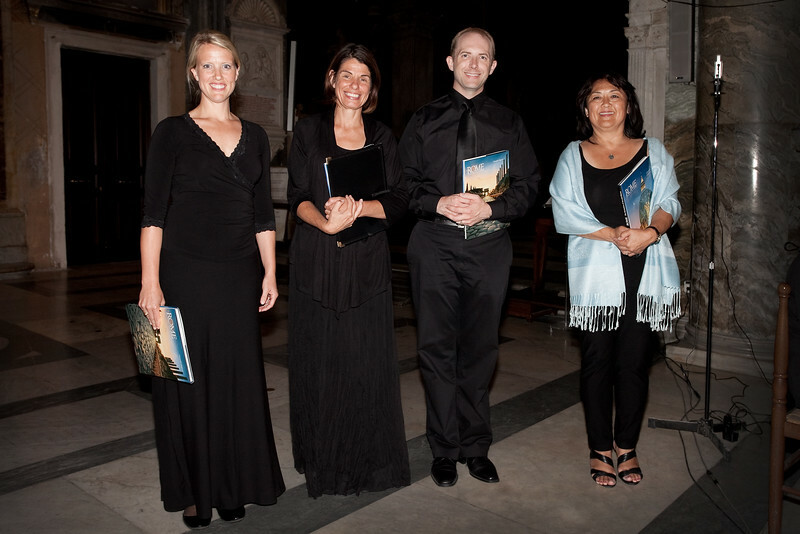 Festival repertoire included works from Leisring, Vierne, Telemann, Hovland, Moore, Barnum, Stroope, Mealor and Gibbs. 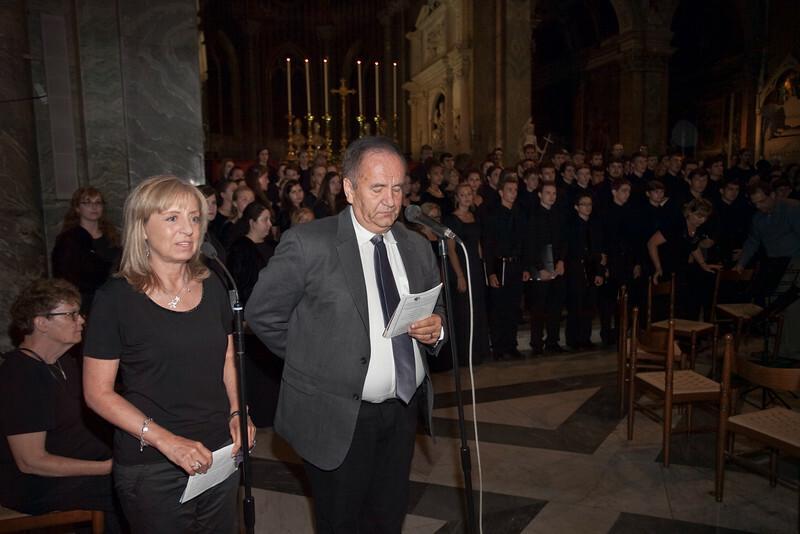 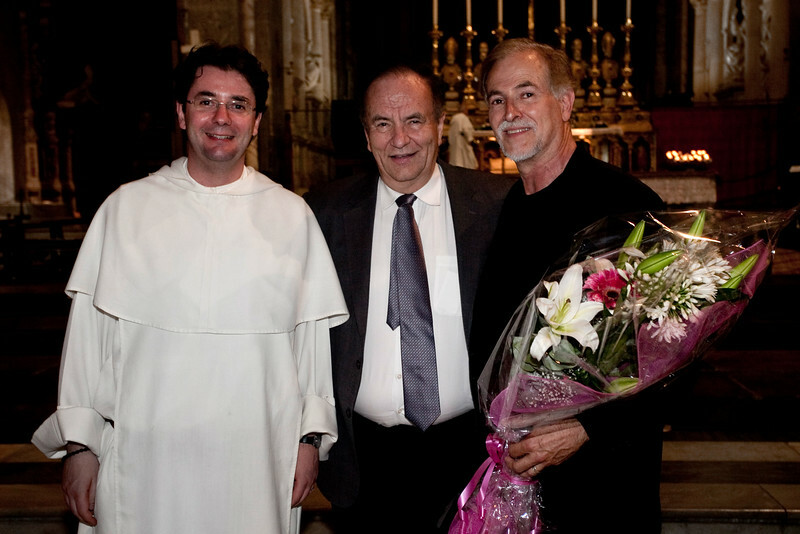 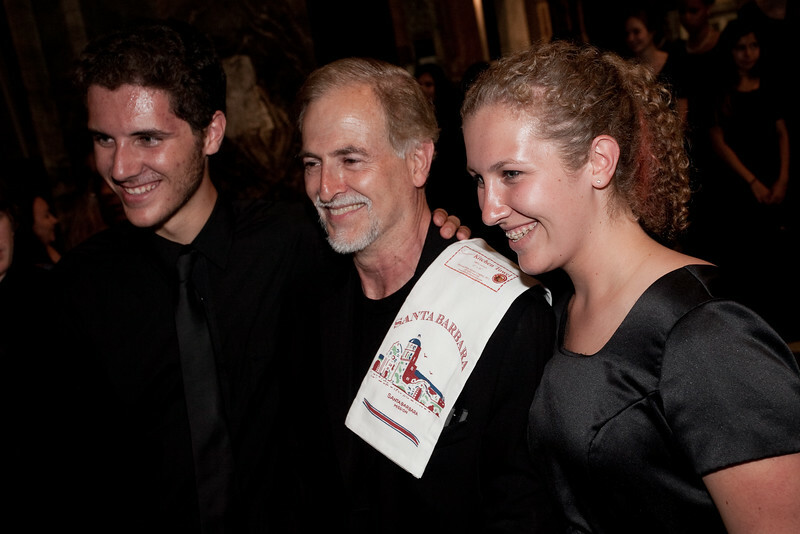 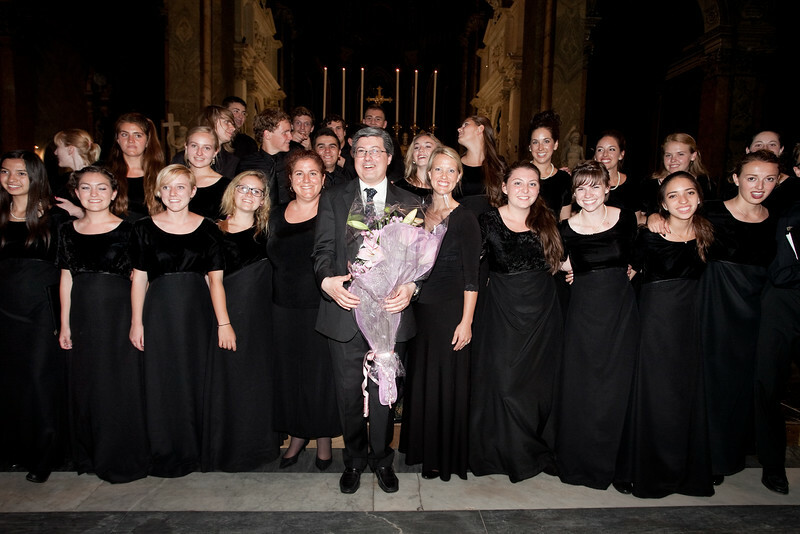 Federico Vallini, festival organist, and a Choral Festival Chamber Orchestra provided accompaniment.